There are only two kinds of people. You know how it goes – the tea vs coffee, one alarm vs ten alarms five minutes apart and so on. 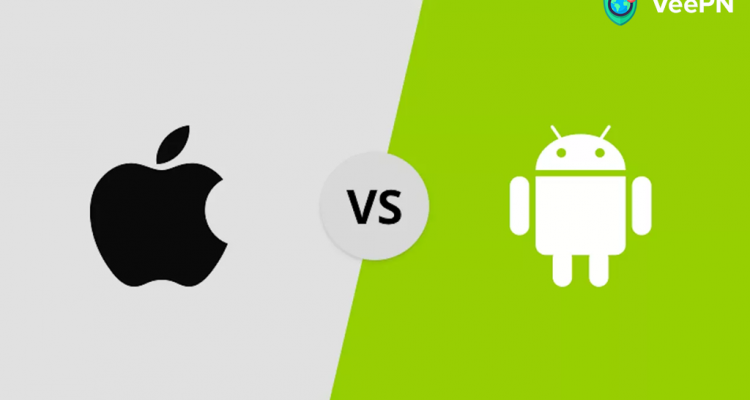 The same is true for one of the biggest tech brawls of the century, at least by now, – iOS vs Android. Which one is better? Are Apple devices overpriced? Are most of the Android devices affordable due to poorer quality? We can’t answer those questions not because we don’t know, but because there are too many nuances to consider. At least, let’s look at one characteristic at a time. And since we are the cybersecurity blog (kind of), we are going to review the security of these two popular operations systems. However secure your software may be, if the hardware has vulnerabilities, there’s no use in the fancy security apps you install. It’s like trying to protect your house with an anti-thief enchantment while keeping your front door ajar. In terms of hardware, iOS wins this round. Why? Because Apple makes both the hardware and the software that will be used in your device later. You won’t find hardware of any other company in your iPhone. This is not the case for Android. Various brands are using Android OS as it is or to create their custom systems. Only Google had control over the hardware they were producing for Google and Pixel. As for the rest of the brands, they have no responsibility for the hardware-based vulnerabilities, as it has nothing to do with their source code. For the ultimate safety, you really need to trust in the hardware as much as in the software. And it’s a little easier with Apple. Android is mostly an open-source OS, which means anyone can take the code and modify parts of it to create something new, which is better tailored to the needs of that person. This allows for an insane amount of variations and versatility. However, this also makes the number of vulnerabilities to grow. Don’t get us wrong, it’s not the fact that the source code is open makes it produce vulnerabilities. It’s the fact that even slightest tweak in the code can open unseen and enormous possibilities to new vulnerabilities. In other words, it’s like conducting an experiment, an outcome of which is unpredictable. You may get something good out of it, as well as a super virus that will destroy half of the planet. iOS, on the other hand, is a lot more controlled system. The only developers that have access to the source code are Apple’s own employees. This means that Apple users have a much lower possibility of getting an unchecked code and that any vulnerabilities are patched and a mass scale. Again Apple has an upper hand here. The corporation seems to really care about their users’ privacy, even if it means making the OS updates mandatory. Installing the new system or patch as soon as it comes out is crucial for your mobile security. If the developers found it, there’s no doubt that hackers also did. Apple is rather strict with their update policy. If you don’t want to install an update right now, you will see a notification prompting that it will be installed between 1 and 5 AM. Android updates, on the other hand, are easier to ignore, as you can just swipe them off and forget. There are still users with devices operating on Android 4.3 with the newest version being Android 8.0. The situation is different with Apple – you will barely find users with iOS 10 installed, most already have the latest iOS 12, and just a few – earlier iOS 11. This issue is not a “security issue” per se, but we believe that the two are strongly connected. In fact, if your device manufacturer doesn’t care about your privacy, it can soon turn into a true security issue. When it comes to user privacy, Google has quite a unique stance on what they consider “privacy.” We bet you know how much data this mega-corporation is collecting. But it seems that the big G is not going to stop there. 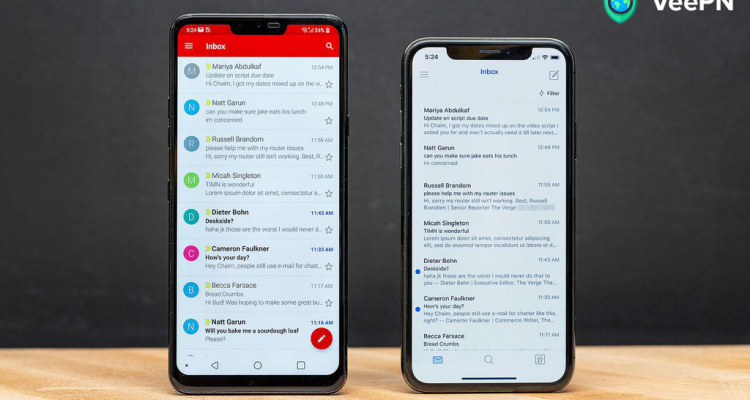 There’s been news of the corporation still tracking people even when explicitly told not to, as well as proofs that Google lets third-party apps access your email box. Now, we don’t say Apple doesn’t track its users. However, it can’t be called tracking, it’s more of “aggregating.” The company collects all the device-related data from its users in a single huge pile, thus making it impossible to tie a particular piece of information to an individual. Google Play is famous for its humongous number of apps. You can find there virtually anything. 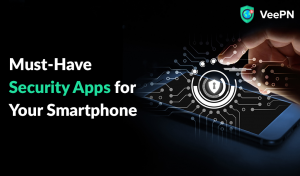 However, more apps mean a higher risk of malware. Google doesn’t vet the software and games that get on the platform. For now, it’s probably impossible, considering the number of apps. Though Google started to change their “don’t care” policy to a more vigilant one, it’s still has a long way to go. App Store, on the other hand, keeps a tight reign over its store. Each app is carefully vetted before being approved by the store. Some claim that this leads to fewer choices and a more restricted environment, but it’s definitely a more safe one. So, once again, a security point to the Apple team. 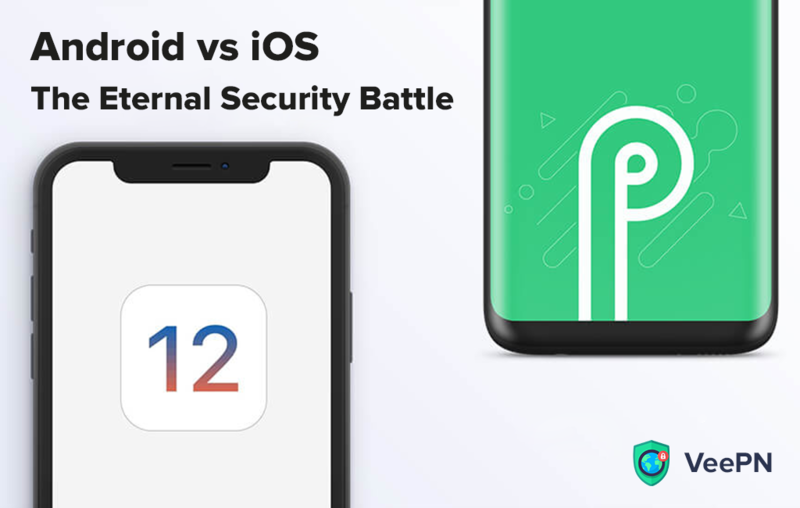 So-o, as much as we love Android, we need to admit that iOS is the better choice when it comes to mobile privacy. However, this doesn’t mean you have to ditch your beloved Android device. 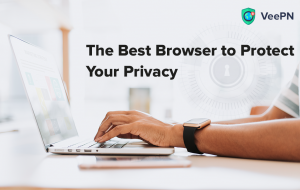 You can make it more secure without such radical measures, and one of the best ways is to get a VPN. VeePN offers you a wide network of 2500+ servers in more than 48 locations, provides you with the possibility of unlimited server switching, military-level encryption, and traffic masking. It also has a Kill Switch feature to keep your data safe at all times. Get your VeePN subscription now, protect all your devices at once, and forget about your privacy-related fears. Why Anti-Virus and Anti-Malware are not Enough to Keep you Safe?